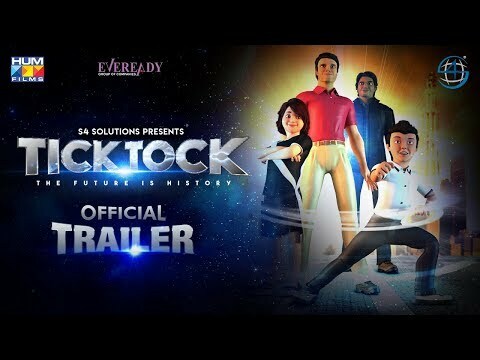 Tick Tock is a upcoming Pakistani animated movie that will hit all Pakistani cinemas on 23rd March 2018. Film story is about history buffs Hassan and Daanya who embark upon a time travel adventure along with their teacher KK and anti-hero Gobo who wants to change history for his own benefit. Tick Tock is pack of action, fun, adventure and educational messages you will surely like this. The voice-over character of the films are Ahsan Khan as Hassan, Maria Memon as Daanya, Alyy Khan as KK and Ghulam Mohiuddin as Gobo. Film is written by Omair Alavi and directed by Omer Hassan and produced by Sana Tauseef.